Albert Greenberg, Art 1948, is an art director, advertising executive, and educator. He has been recognized by the Type Directors Club, AIGA, Graphis, and the Society of Illustrators in addition to receiving gold medal and distinctive merit awards from the Art Directors Club of New York. He was art director of GQ for 13 years and changed the look of the men’s fashion magazine to include exciting visual art. He then became vice president of Wells Rich Greene advertising, where his work included the design of the first New York State lottery ticket and the branding of Chex Party Mix. Albert Greenberg taught art direction and design at Cooper Union, Parsons, Pratt, Manhattanville, and Finch colleges, served as Chair of Graphic Design at Parsons in the 1980’s, and led a two-year series called “Design Talk” at Cooper Union where he interviewed the great art directors of the time. Greenberg was an early Art Director for At Cooper Union magazine and has served his alma mater in many other ways as well. He chaired the CUAA Nominating Committee, was a member of the Augustus Saint Gaudens Committee, served as President of the Cooper Union Alumni Association, and was an Alumni Trustee. Below he is shown in a group photo when he was CUAA president. 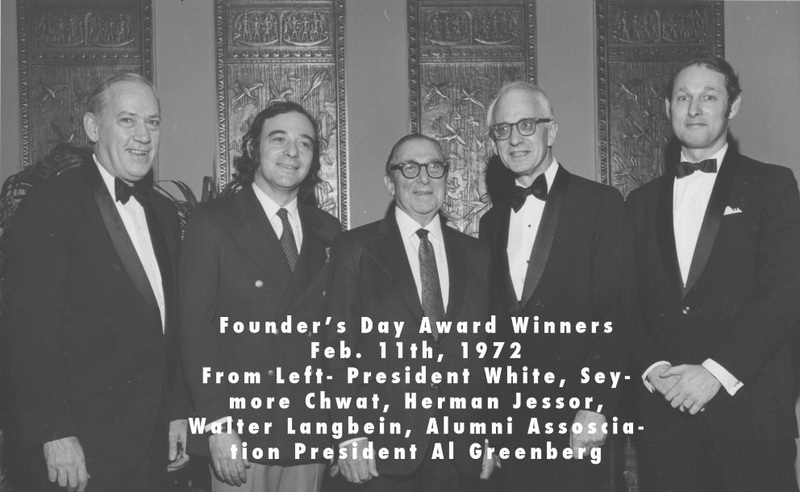 Albert Greenberg received the 1981 Cooper Union President’s Citation and the 2006 CUAA Augustus Saint Gaudens Award. He was inducted into The Cooper Union Hall of Fame in 2009. This entry was tagged advertising executive, Albert Greenberg, Art Director, Augustus Saint Gaudens Awardd. Bookmark the permalink.